Our goal is to keep your pet's teeth as clean and disease free as possible. The number one disease in pets over the age of three is dental disease. This causes not only bad breath and pain in the mouth, but also leads to organ failure and shorter life spans. Pets, like people, need teeth cleaning on a periodic basis. The interval between professional dental cleanings depends on many factors. Most important is the home care you can provide as well as the genetic make-up of your pet. Dental care includes prophylactic cleaning. 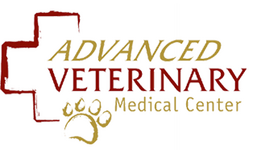 Our licensed veterinary technicians perform our teeth cleaning for our patients. Pets must be anesthetized for this procedure to enable us to properly remove tartar from all surfaces of the teeth. We use an ultrasonic descaler and a high speed polisher. We extract any teeth with root decay. The patient is admitted to the hospital in the morning, and is discharged in the afternoon. Please ask us what you can do to keep your pet's teeth healthy and breath fresh. We will be happy to discuss with you any questions that you may have about dental cleaning. Dental radiography is valuable in diagnosing oral/dental disease in your pets. Without it, dental problems can be missed. They help in diagnosis, treatment planning, and post surgery treatment success.